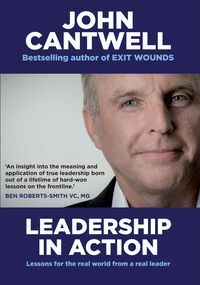 John Cantwell AO DSC retired from the Australian Army early in 2012 after a career spanning almost forty years. Starting as a private soldier he rose through the ranks to become Major General. 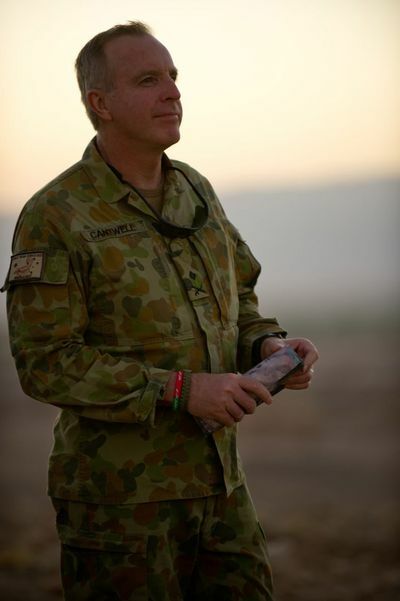 Cantwell served in three distinct wars: combat duty in Operation Desert Storm in 1991; as the Director of Strategic Operations of the Multi National Forces in Iraq in 2006 (for which he was awarded the United States Legion of Merit); and as the Commander of Australian Forces in the Middle East in 2010. For his service in the latter role he was awarded the Distinguished Service Cross for his 'inspired leadership, deep commitment to his people and superior performance on operations'. He was made a Member of the Order of Australia in 1990 and an Officer of the Order of Australia in 2007, in addition to two commendations for superior performance. In 2009 he was appointed chief of operations of the Victorian Bushfire Reconstruction and Recovery Authority, a role in which he coordinated all efforts to recover from the deadly Black Saturday fires. Afterwards, the Premier of Victoria characterised Cantwell as 'a hands-on tireless leader and organiser with a remarkable ability to gain the respect and cooperation of disparate groups'. The Prime Minister described Cantwell as 'a leader possessing exceptional skills in coordination, guidance and organisation'. Since his retirement Major General Cantwell lectures on leadership and military affairs to a variety of defence, business and academic audiences. 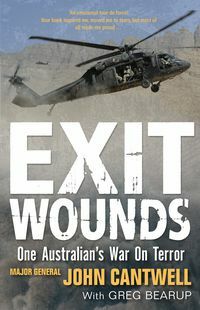 He is the patron or ambassador for several organisations that support wounded and emotionally damaged Australian veterans. 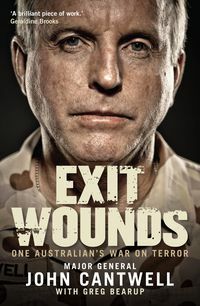 His bestselling book on his experiences in combat and related emotional trauma, Exit Wounds, was shortlisted for the Australian autobiography of the year in 2013.